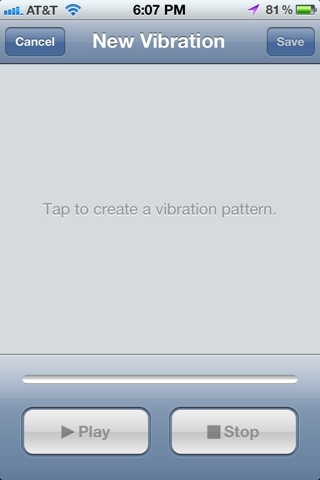 You can create your own vibrations with iOS 5! Go to Settings >> General >> Accesibilty and turn on Custom Vibrations. 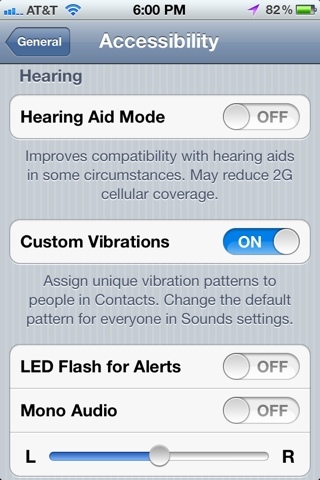 Then go to Settings >> Sounds and scroll down to the bottom where you'll see Vibration Patterns. Then you can create your own vibration patter by simply recording your tapping on the screen! This is something I've been waiting for for a long time. 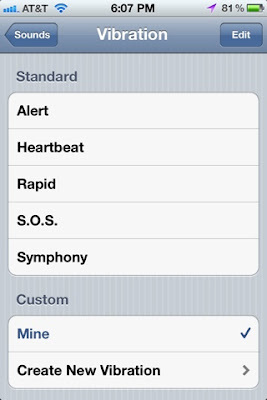 If you have GarageBand, then you know you can create custom ringtones and export them to iTunes to use on your iPhone. 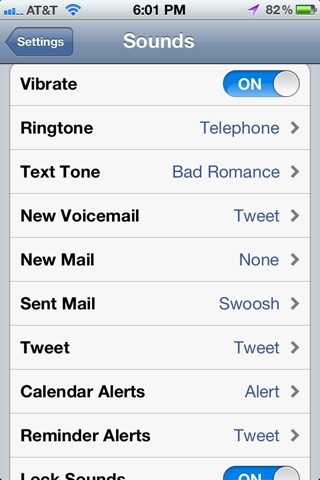 Well, now you can use those ringtones, and any other ringtone you have as text tones! I'm a huge Lady Gaga fan, as you may find evident by my Lady Gaga wallpapers. 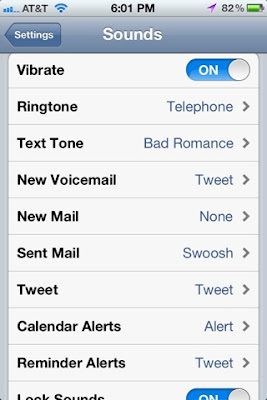 Well, now I can use "Bad Romance" as my Text Tone instead of one of the default iPhone text tones. 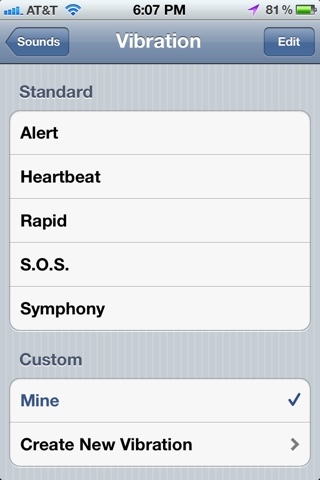 Go to Settings>>Notifications, and click on the app you want to change the preferences of. 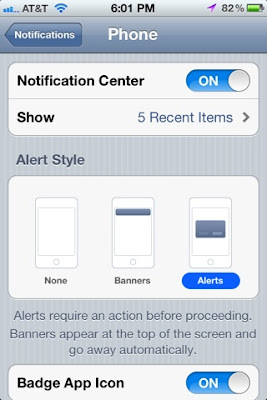 You can choose to have no alert, banners, or alerts. I thought this was a clever idea, but I'm a huge fan of the banners. 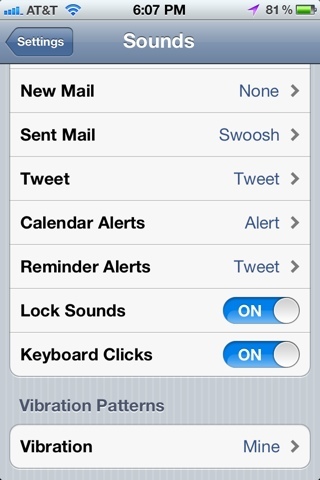 Another great new addition to iOS 5 is the ability to customize keyboard shortcuts. Say you text something a lot like "I love you." Now you can go to Settings>>Keyboard and scroll down to the bottom where you'll see Shortcuts. 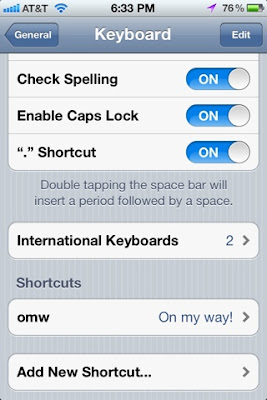 Simply click Add New Shortcut and you can make "ily" your shortcut to "I love you." Multiple shortcuts will make texting that much faster and easier!